Tim Coyne of The Hollywood Podcast rode along on The Real Black Dahlia crime bus tour and prepared a cool little piece for BBC 5’s Pods and Blogs program (or programme, if you will) explaining Beth Short and our fascination with 1947 LA and the odd characters in her orbit to a nation that doesn’t know the case. Here’s a link to the MP3 of Tim’s interview with Nathan and me. Why Doesn’t L.A. Do Something About Traffic? One thing you can say about Angelenos: We love to talk about traffic. The only thing we love more is to commission studies and draft plans to deal with the problem, and then ignore them. 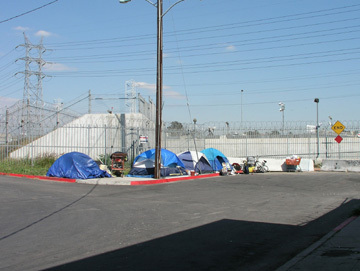 â€œWith the wonderful growth of Los Angeles as a great city has come to it many problems to be solved. The Owens River and the system of storm drains underway are the solutions of two important ones,â€ The Times says. 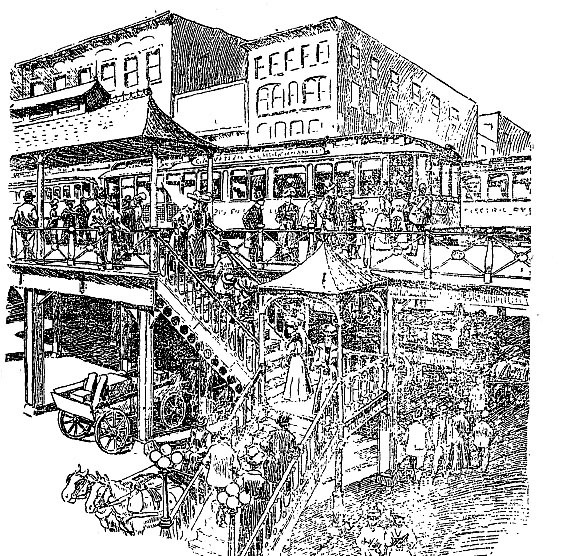 The elevated train proposed for Los Angeles and never built. The Times says Henry Huntington plans to build an experimental elevated line from the Pacific Electric Building south on Tennessee with the idea of eventually linking to the beach cities. Someday an inquisitive person studying the history of transportation and urban planning will tell the world exactly what became of Los Angelesâ€™ 1947 blueprint for dealing with transit problems. In the meantime, weâ€™ll have to settle for the knowledge that at least they made a valiant effort. They certainly knew what was comingâ€”without much argument, you could call them futurists. A committee sponsored by the California Chamber of Commerce spent 19 months studying transportation issues and warned that someday Los Angeles would have a population of 5 million (the 2000 population of Los Angeles County was 9,519,338, with 3,694,820 for the city of L.A.). â€œHigh-speed rail transit arteries plus a system of downtown subways alone can save Los Angeles from disintegration into a hodge-podge of unconnected municipalities,â€ The Times said in quoting the projectâ€™s advocates. â€œCrux of this preliminary proposal lies in the immediate revamping of express highway projects (today we call them freeways) to include â€˜center stripâ€™ tracks capable of whisking trains at 35 to 50 mph. 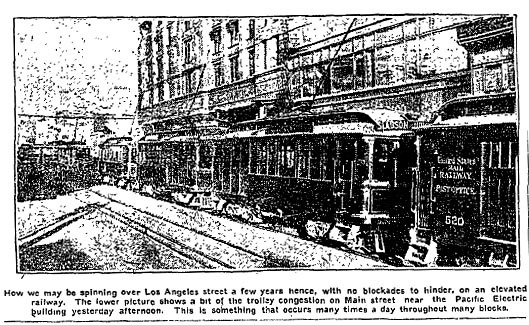 â€œThese cars, pouring millions of commuters daily into metropolitan Los Angeles, would unload at special downtown stations whence passengers would be shuttled to local destinations by subways tentatively scheduled under Broadway and Spring Street. A quick search through Proquest isnâ€™t helpful in determining the projectâ€™s fate. William Jeffers, the former Union Pacific railroad president who was to be a consultant on the project, is quoted in 1948 calling for approval of a rapid transit district. Of course there was a competing proposal. The 1948 Babcock plan, named for consulting engineer Henry A. Babcock, who envisioned a 650-mile subway system at a cost of $1,100,000,000 ($10,410,604,566.50 USD 2005). While there were arguments between the two factions, in the end, neither plan was adopted, as any Los Angeles driver knows. The original story reveals some obvious clues as to why: The Inglewood, Olympic and East Bypass Freeways arenâ€™t familiar names these days. One could paper the dining room with Times maps of various freeway routes that were never built. (In simple terms, the Santa Monica Freeway was originally envisioned much farther north. To the south, the Olympic Freeway was to go from the Harbor Freeway to Venice and the Inglewood Freeway was to go from the Harbor Freeway to Sepulveda). And there are other stories in the same issue that offer more hints: A huge petition drive led by Ted Meltzer, publisher of the South Side Journal, against building the Harbor Freeway between Broadway and Figueroa. â€œHomeowners in an area bounded by 23rd Street and Imperial Boulevard claim that several thousand homes in the built-up area would be destroyed and ask that the project be either abandoned or postponed,â€ The Times said. And an adjoining story reports on a seven-month investigation of graft and conspiracy in acquiring property for the Hollywood Freeway. But it is gratifying when wondering what became of the 1947 plan to remember that the new Gold Line tracks run between lanes of the Foothill Freeway. Some things just take time. 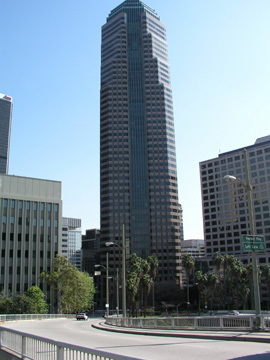 Bonus factoid: The Harbor Freeway was realigned to spare the Auto Club headquarters on South Figueroa and USCâ€™s Fraternity Row. 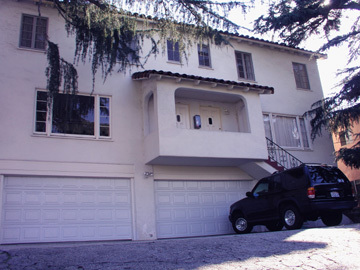 LOS ANGELES – The most notorious body dumpsite in L.A. history is now the manicured front lawn of a post-World War II home on a quiet street lined with similar one-story stucco houses. There’s no memorial plaque or hint this is it – the macabre magnet where, nearly 60 years ago, the Black Dahlia’s naked corpse was discarded in two cleanly cut hunks in a weed-choked vacant lot. “She was very deliberately posed to be seen,” says crime connoisseur Kim Cooper. The 39-year-old Angeleno lingers on the same Norton Avenue sidewalk where a stroller-pushing young mom discovered the blood-drained Dahlia, her mouth sliced on each side to form a deranged clown grin. 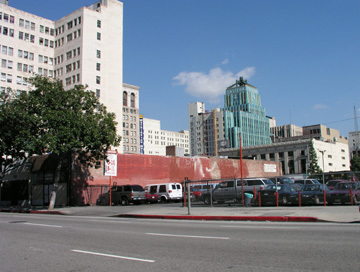 In Brian De Palma’s “The Black Dahlia,” this horror landmark, along with most of 1940s Los Angeles, is actually Bulgaria, where the movie was mainly shot. Noir hipsters Cooper and Nathan Marsak bring luxury buses to the real thing: This weekend they will launch the expanded Real Black Dahlia Crime Bus Tour, a doomed heebie-jeebies journey that includes Hollywood flophouses and hangouts frequented by 22-year-old cash-strapped Elizabeth Short. It’s a cold, cold case. 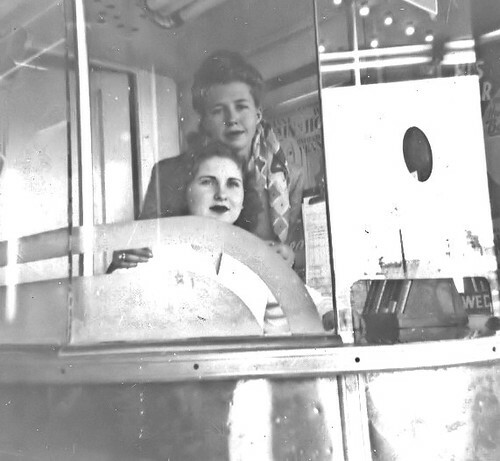 In that vein, bus-traveling groupies will gorge at a Hollywood gelato shop debuting 12 unique Black Dahlia flavors. One is Vanilla and Whiskey. As it’s been said before: The Dahlia is to Los Angeles what Jack the Ripper is to London. 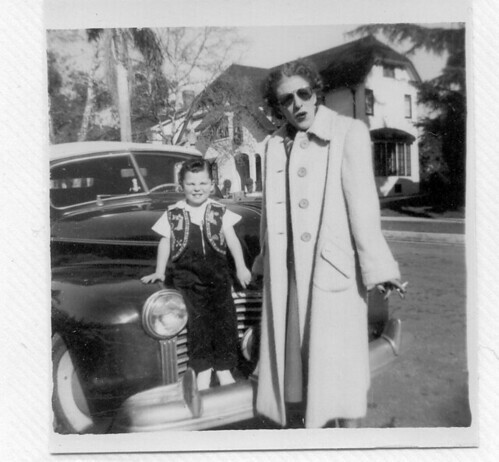 Massachusetts-bred Betty Short was a transient unemployed ex-waitress who hit town in mid-1946, left for a while to live in San Diego, and returned here six days before her mutilated body turned up in the Leimert Park neighborhood on the clear morning of Jan. 15, 1947. An aspiring starlet, she was among the wannabes who flocked to a Hollywood still in its heyday. Around the time, a homegrown ingénue named Norma Jeane changed her name to Marilyn Monroe. “The Big Sleep” star Humphrey Bogart immortalized his handprints and footprints in the famous forecourt of Grauman’s Chinese Theater. The poignant classic about WWII vets, “The Best Years of Our Lives,” was about to sweep the Oscars. 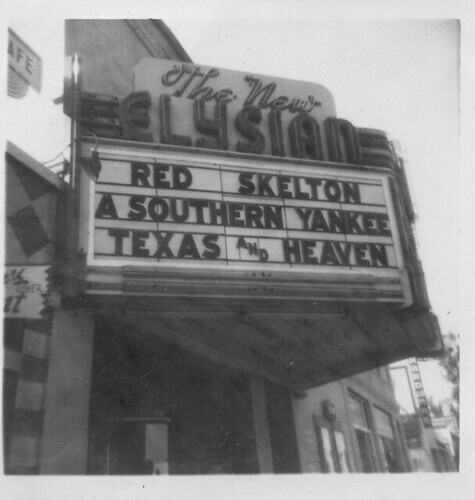 And singing cowboy Gene Autry rode Champion in a parade down Hollywood Boulevard, the nightclub-dotted street that a roommate said Short often prowled. 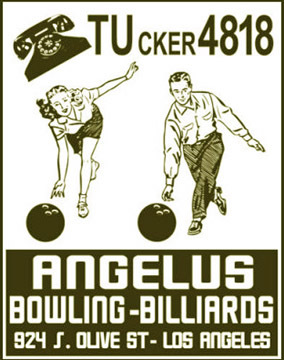 But the social climate was changing in the City of Angels. 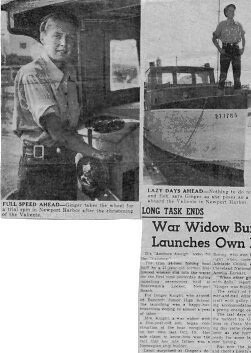 “A lot of women who had worked and been independent during the war were in the process of being pushed out by servicemen returning home,” says Cooper, who with Marsak and Dahlia expert Larry Harnisch deftly blog the city’s bygone murders and mayhem on the Web site project1947.com. Back then, a pimento cheese sandwich cost 20 cents. A top sirloin steak dinner was $1.65. A glass of port, 17 cents. Short didn’t have much money for any of it: Friends told police she sponged off men for meals. 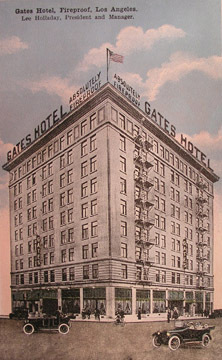 The flower-fond brunette – she dyed her brown hair jet-black – was last seen alive Jan. 9, 1947, in the marbled and chandeliered lobby of the downtown Biltmore Hotel. 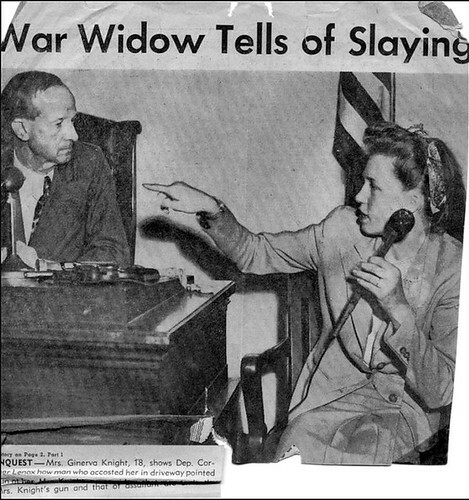 She had been dropped off by Robert Manley, a married traveling salesman who drove her up from San Diego and, along with hundreds of suspects and crazed confessors, would be cleared in the case. Detectives, after finding two votive candles in Short’s checked bags at a nearby bus station, questioned Biltmore bathroom attendants to see if she was seen fixing her bad teeth. The Dahlia used candle wax to plug cavities. No one knows for sure what happened to Short after she left the Biltmore. “She may have gone to the Crown Grill. Some people said they saw her there,” Marsak says. The long-gone downtown bar is now Club Galaxy – “100 Beautiful Girls,” the sign outside beckons. 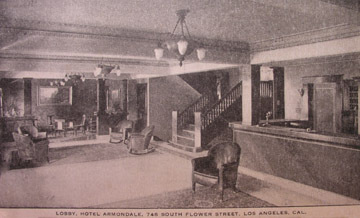 Short did stay at the nearby Figueroa Hotel in September 1946, when she met a uniformed Army soldier on a street corner, according to FBI files. 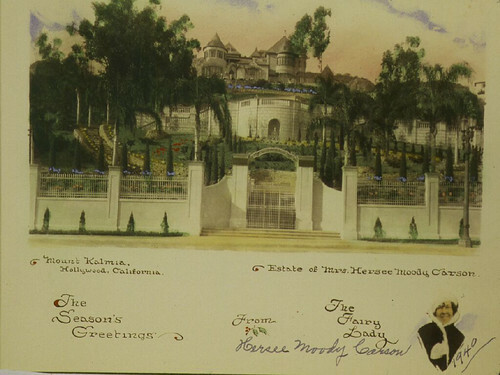 The serviceman said he took the “very friendly” and “very well-dressed” Short to see Tony Martin’s broadcast at the CBS studios in Hollywood, and to dinner at Tom Breneman’s restaurant, the home of a popular morning radio show. At Breneman’s, the headwaiter recognized Short and waved her through a line of waiting patrons. In Hollywood, Short bunked at several places until she landed at the still-standing, then $1-a-night Chancellor Apartments, where she shared a room with five women. The manager once held Short’s suitcase as collateral when she tried to skip on the rent. In early December 1946, Short left for San Diego. 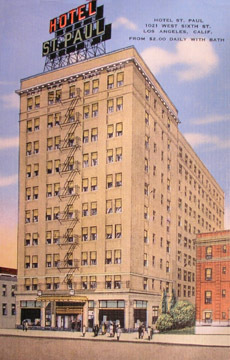 Dorothy French, an usher at the downtown Aztec Theater, took pity on the sad soul she saw hanging around and invited her to stay with her family at the Bayview Terrace housing project in Pacific Beach, according to news reports. The Frenches were about to boot the jobless, partying Short when on Jan. 8 she checked into a Pacific Beach motel with Manley, whom she’d met a few weeks before. He told police they spent a platonic night together and then he drove her up to the Biltmore, ostensibly to meet her sister. When Manley left her that evening, she was a pretty black-clad drifter who got her nickname from a Veronica Lake movie of the time, “The Blue Dahlia.” Today, the morbid icon is a cottage industry: There are Internet sites, a TV movie, a coffee-table book that connects her killing to surrealist art, and a tome that implicates Los Angeles Times publisher Norman Chandler and mobster Bugsy Siegel in her sadistic slaying. The Dahlia bus will drive by the site of the trash dump – several miles from the crime scene – where Short’s black shoe and patent leather purse that smelled of her perfume were found (it’s now a parking lot next to a commercial building). Gilmore says Wilson provided details to him only the killer would know shortly before he died in a 1982 hotel room fire. But now the true-crime writer isn’t convinced the case is solved. “It will always be one of L.A.’s darkest mysteries,” Gilmore says. Then he compares the Dahlia’s haunting legacy to the movie-star handprints and footprints she surely ogled on Hollywood Boulevard. Join us, gentle rider, on the Crime Bus! 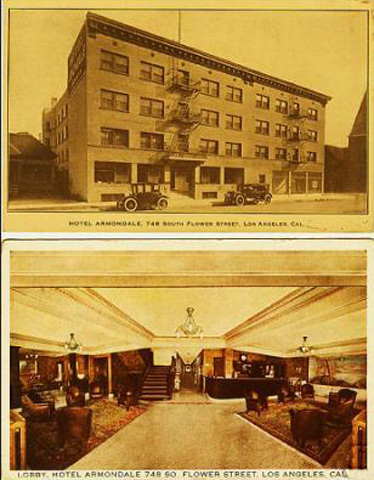 NEW TOUR: Saturday 10/21, 1pm-6pm, Hallowe’en Horrors, a five hour guided luxury coach tour to the most grisly, weird, horrific and unintentionally hilarious crime scenes of old Los Angeles. This tour is not recommended for children, and we suggest you BYOBB (bring your own barf bag). More info here. UPDATE: The October 21 tour has nearly sold out, so we have added a second bus on Sunday October 22, 1pm-6pm. If interested in tickets for Sunday or Saturday , please contact us to reserve, then you may either send a check or pay with Paypal here. Seats are $47/person, which includes Halloween-flavored Scoops gelato. 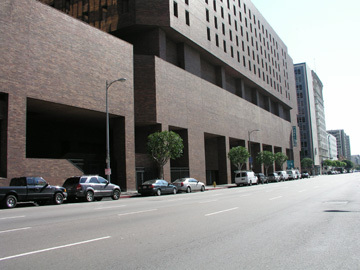 Departure location – a metro station near downtown LA, provided to all passengers close to tour time. AND YES: Passengers are welcome to wear costumes! 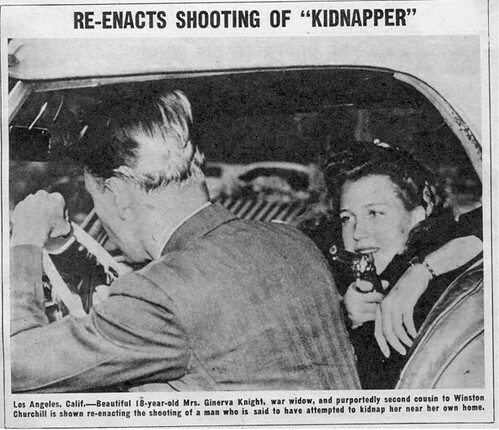 We interrupt our regularly scheduled turn of the century to follow up on one of the more striking cases from the first year of the 1947project, the attempted carjack and kidnapping of Ginevra (note corrected spelling, though she prefered to be known as Ginger) Knight, an 18-year-old war widow who surprised her would-be kidnapper Thomas Housos by having a gun of her own that she wasn’t at all shy about using. We were recently contacted by Ms. Knight’s son Ian, who was a toddler in the house on Courtney Avenue at the time of the fatal incident, and who wanted to share with our readers some images of his brave mama. 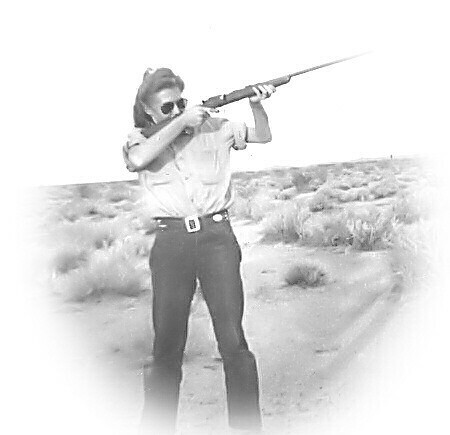 It’s always interesting to hear from the family members of people featured in our stories, and we’ve been fortunate that everyone we’ve heard from has recognized that our aims are not exploitative. In this particular case, we were startled to hear not only from the children of the victim, but from the son of the attempted kidnapper who she killed, as well. Just a little reminder from the universe that these shocking incidents leave ripples that flow outward for many decades, leaving wounds and curiosity in those who come after. Thank you, Ian Knight, for the photo gallery that follows. And here’s to Ginger Knight, who courageously faced her would-be kidnapper’s brother in court, and made quite a life for herself in the years that followed. RIP, brave lady. 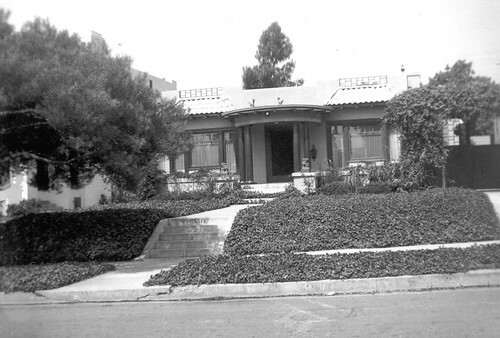 ABOVE: 1515 Courtney Ave., circa 1947. At right, the driveway where Housos grabbed Knight. ABOVE: Wee Ian Knight, with Dee. BTW, Ian let us in on a little secret… Ginger was carrying her gun that night, and she didn’t have to go into the living room to get it, despite what she told the police. You see, she carried the theater receipts home every night, since the banks were closed. Maybe Thomas Housos knew she was carrying lots of cash. Anyway, she wasn’t about to lose it, and she didn’t.